Kyndall is the Marketing Manager at Costar Video Systems. She received her BBA in Marketing from Texas Christian University. She enjoys cooking, calligraphy, and cheering on her Horned Frogs. 17 Products Launched in 2017! StarNET, our new Video Management Software (VMS), was launched in Q2 of 2017. StarNET was developed on the success of the popular iRAS platform. 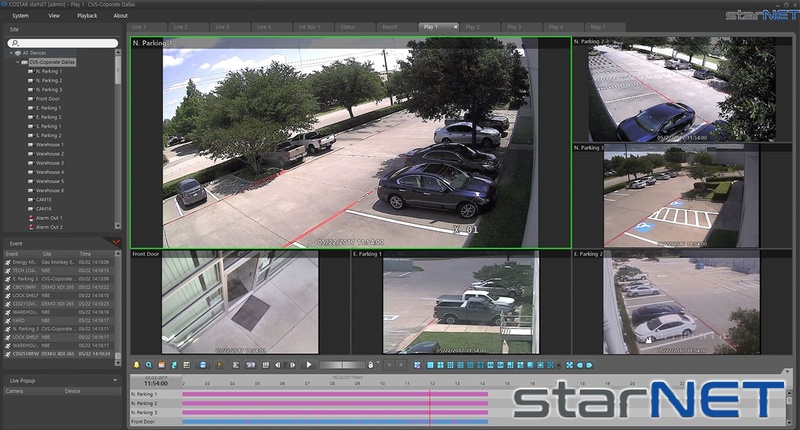 The powerful processing capabilities of StarNET allows it to manage multiple video streams from both analog, HD-TVI, and IP cameras. StarNET is free and includes features such as interactive mapping, and advanced management tool to monitor health and generate status reports. Want to try out StarNET? Download it for free here. StarNET Mobile is a free app that allows you to access remote sites and monitor live video via network connection anytime, anywhere. The app is available for iOS and Android devices. The CRIA04 video analytics box provides video analytics for 4 channels of video. The three video analytics currently supported are heat mapping, people counting, and que management. Heat mapping highlights where people spend time and what they interact with in the scene. People counting keeps track of exactly how many people come and go in the scene. Que management observes the number of people waiting in lines. internal shift change system. CBI8110IFH is a DirectNET™ outdoor bullet camera that provides high quality video at 4K (8.1 megapixel) resolution. The Remote Focus feature allows installers to control the zoom and focus directly from the network video recorders (NVRs) or remotely through StarNET. CBI2510IWFH is a DirectNET™ outdoor bullet camera that provides high quality video at 2 megapixel (1080p) resolution. This bullet camera has a 3.3 - 10 mm motorized vari-focal lens. The advanced H.265 codec allows for smaller recording file sizes and lower transmission bandwidth on the network. CBI2522IWFH is a DirectNET™ outdoor bullet camera that provides high quality video at 2 megapixel (1080p) resolution. The advanced H.265 codec allows for smaller recording file sizes and lower transmission bandwidth on the network. CDI2510IFW is a DirectNET™ indoor dome camera that provides high quality video at 2 megapixel (1080p) resolution. The advanced H.265 codec allows for smaller recording file sizes and lower transmission bandwidth on the network. CDI2510VIFW is a DirectNET™ outdoor dome camera that provides high quality video at 2 megapixel (1080p) resolution. The advanced H.265 codec allows for smaller recording file sizes and lower transmission bandwidth on the network. The XDi 20 Series Network Video Recorders (NVRs) provide 8, 16, 32, or 64 channels of Full HD real-time recording and live display. These NVRs are designed to “plug-and-play” right out of the box. The XDi 20 Series offers both H.264 and H.265 compression. CBT2S12IFW is an outdoor TVI bullet camera that provides high quality video at 2 megapixel (1080p) resolution over existing coaxial cable. CDT2S12IFW is an indoor TVI dome camera that provides high quality video at 2 megapixel (1080p) resolution over existing coaxial cable. CDT2S12VI is an outdoor TVI dome camera that provides high quality video at 2 megapixel (1080p) resolution over existing coaxial cable. CDT2S12VIFW is an outdoor TVI dome camera provides high quality video at 2 megapixel (1080p) resolution over existing coaxial cable. CTT2S28VI is an outdoor TVI turret camera that provides high quality video at 2 megapixel (1080p) resolution over existing coaxial cable. CMT32PVM is a 32" public view monitor that provides high quality 2 megapixel (1080p) resolution over existing coaxial cable with a built-in TVI camera. This public view monitor is an ideal choice for retail, banking, convenience stores, fast food and many other commercial applications. CM32HD is an 32” LED HD monitor for surveillance applications. This monitor can display HDMI digital inputs plus VGA, S-Video, and BNC analog inputs. CM40HD is an 40” LED HD monitor for surveillance applications. This monitor can display HDMI digital inputs plus VGA, S-Video, and BNC analog inputs. What was your favorite product in 2017? 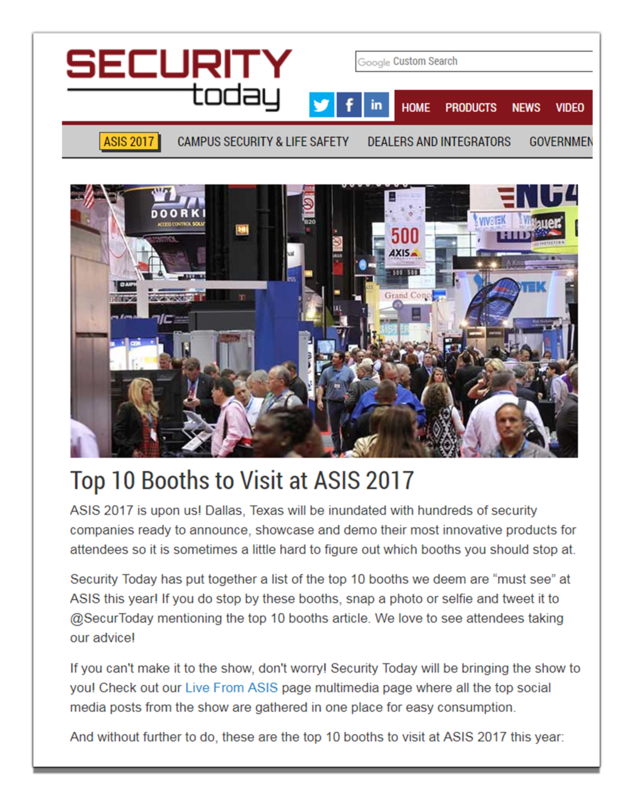 ASIS 2017 is upon us! Dallas, Texas will be inundated with hundreds of security companies ready to announce, showcase and demo their most innovative products for attendees so it is sometimes a little hard to figure out which booths you should stop at. 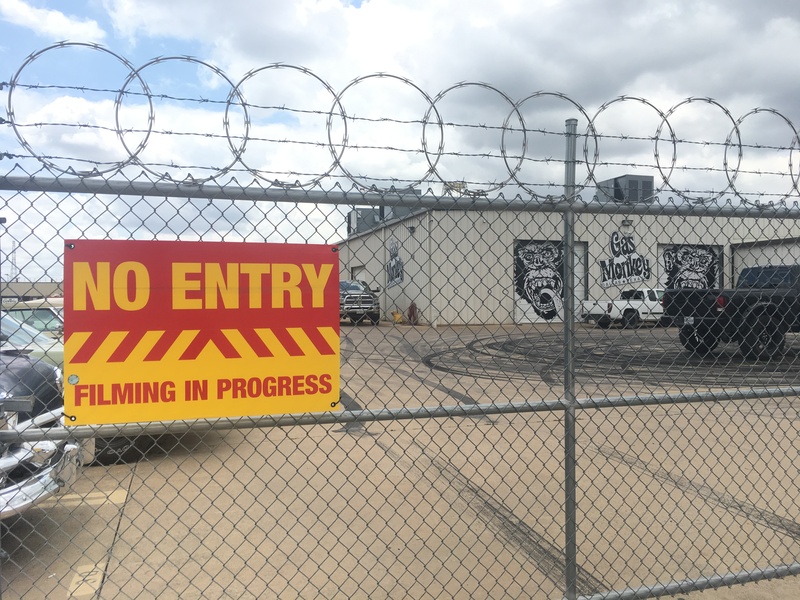 Dallas hot rod mechanic, Richard Rawlings, partners with Costar Video Systems to design a custom solution. When you have a garage full of antique and high-end performance cars, you better be thinking about a reliable security system. One that will not only allow you to protect your investments, but also ensure that nothing drives out of the garage without proper permission. Kicking Off 2016 With A Bang... And A Blog! 2015 has been a great year for Costar Video Systems, filled with new challenges and achievements. We have enjoyed working with all of you this year and look forward to many more! On behalf of our Company, we would like to wish you and your family a happy, healthy, and safe holiday season.